Hayfever season has hit me in the face with both barrels. It’s the most frustrating season in Japan, closely followed by a hideous summer (I think most summers are hideous though). The weather became really nice, but I have to live in a virtual bubble in March. The sinus pressure is so bad, that I usually wake up a few times a night. It’s also very hard to think and focus when it feels like an alien is about to pop out of your face. Hopefully it won’t last long this month. 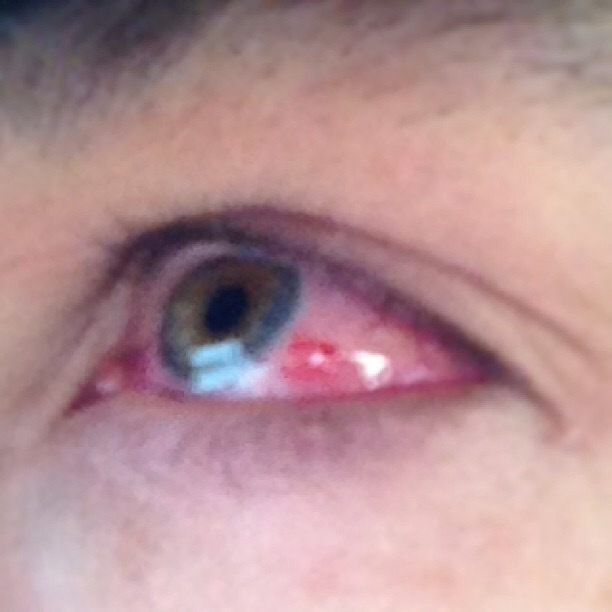 This is my pollen/ pollution a la Beijing, ridden eye.